Motor development is the movement science discipline concerned with age-related changes in movement patterns and the underlying processes that drive those progressions. The changes in movement pattern tend to be sequential, occurring in a series of steps. In the early portion of the life span, change is from execution of simple (even though coordinated) movement units to highly organized and complex movements. In the later portions of the life span, change reflects adaptations to physical aging and disease onset. Early in the establishment of motor development as a field of study, researchers tended to study the young, especially infants. While many came to associate motor development only with the study of young performers, current interest is in change throughout the life span. Study of the entire life span has facilitated understanding of the underlying processes that drive development, as researchers can observe how a change with growth compares to a change with aging. For example, the stride length of a newly walking toddler is short, compared to that of a young adult, as is the stride length of some senior walkers. Motor developmentalists are interested in whether this reflects underlying processes that are similar or different, with the answers enriching the understanding of developmental processes. The study of motor development includes the description of change and documentation of when changes occur in the life span. Yet, the field goes far beyond description to focus on underlying causes of change or the why and how of change. This has not always been apparent to researchers in other movement sciences. A number of early studies describing progression in movement patterns demonstrated a consistent pattern of emerging new skills across human infants. At the same time, the famous “nature–nurture” debate was ongoing in a number of fields concerned with development. The consistent pattern of skill emergence was often taken as support for the view that “nature” was the predominant influence on development. 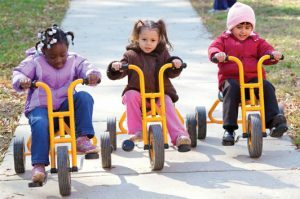 As a result, the perception of scholars outside the field of motor development was of a field dominated by a maturational perspective and using only methods of description as a research tool. Despite the perspective of others that motor development emphasized influences of nature (genetics), many early researchers in motor development had adopted an interactionist perspective—one that acknowledged that nature and nurture (environment) interact and both influence development with neither dominating. They sought understanding of all the processes driving developmental change. Nevertheless, it was not until the later portions of the 20th and early 21st century that perception of the field changed to acknowledge this great interest in how genetically driven development and the environment interact in the developmental change in motor patterns. While motor development far exceeds just the description of change in movement patterns, the developmental descriptions produced by early scholars introduced a rich body of information that is used even today. Those rich descriptions identified sequences of new skill acquisition in infancy (interskill sequences), such as the sequence of rolling over, holding the head up, pushing the chest up off the surface, and pushing up to hands and knees. Also identified were sequences of change within a skill (intratask sequences). One brief example for the skill of throwing is for trunk movement pattern: no rotation, simultaneous rotation of the upper and lower trunk, and then lower trunk rotation followed by upper trunk (differentiated) rotation. Motor development has its roots in biology and psychology. The roles of physical growth, physiological maturation, and physical aging in driving changes in movement are obviously rooted in biology. 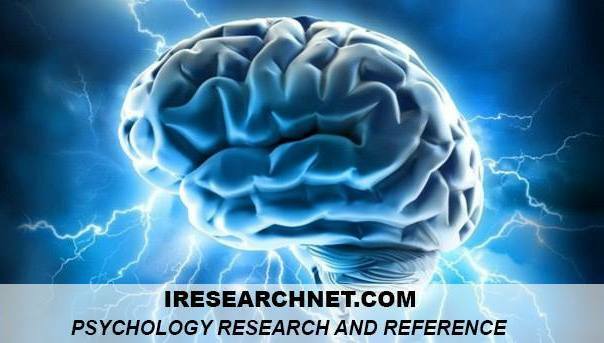 Yet, the discipline of psychology, with its emphasis on human behavioral development, was a greater influence on motor development as a field of study, particularly by proposing models of development and means of studying the human organism. Focus on longer periods of change contrasts motor development with the field of motor learning that focuses on the change occurring in shorter time periods, for example, as a result of weeks of practice. The fields are further distinguished by an emphasis on the movement product in motor learning, but an emphasis on the movement pattern in motor development. The current field, then, is concerned with development over the life span, processes underlying age-related change in skill performance, and the relationship of genetic and environmental factors as they drive motor development. It is important to understand how contemporary perspectives are shaping both research and practice in the field. Two are particularly important: modeling movement as arising from the relationship of constraining factors and modeling developing systems as dynamic systems. The current emphasis on the interaction of multiple influences on development can be seen in the common use of Karl Newell’s model of constraints by both researchers and practitioners in the field. The model uses a triangle to represent movement as arising from the interaction of constraints that fall into three categories: the organism (here, the human performer), the environment, and the task to be executed. The constraining, or shaping, factors associated with the performer can be further divided into structural and functional constraints. Examples of structural constraints include the body’s physical structure and its systems, such as the muscular system, the nervous system, and so on. Examples of functional constraints are motivation, experience, and fear. Environmental constraints include characteristics of the environment, such as gravity or altitude as well as the surfaces and dimensions of the setting for skill execution. Task constraints include the intended goal for the movement, equipment, and any rules established for achieving the goal. A particular movement is shaped by the interaction of all relevant constraints. As any even single constraint changes, the relationship among the constraints differs, potentially resulting in a different movement pattern. Usefulness of the model to motor developmentalists is obvious when one considers how the structural constraints change with physical growth and maturation or aging. As an individual grows, for example, the relationship of the structural constraints with the environmental and task constraints changes, giving rise to differing movements. Hence, the model provides a vehicle for relating changes in these relationships with growth and development to qualitative changes in movement patterns. This framework is useful both to researchers who focus on specific relationships among the constraints and to practitioners. While growth or aging typically cannot be manipulated in the short term, the environment and task constraints can be manipulated in conjunction with changes in structural constraints. Practitioners can manipulate environment and task constraints to design developmentally appropriate tasks for those at any point on a developmental continuum of change in the structural constraints. As a simple example, if the movement desired is to shoot a basketball through a hoop, the height of the hoop from the ground and/or the weight of the basketball can be incrementally changed as the height and strength of the performer change to achieve the desired goal over the period of growth and maturation. Another example is how practitioners have designed a series of adapted bicycles for children with disabilities—for example, replacing the rear wheel with two rollers, to facilitate development to riding conventional bicycles. How qualitative change in movement patterns emerges is one of the most interesting questions in motor development yet to be answered. Motor developmentalists have modeled the developing body systems involved in movement as dynamic systems to address this question. The study of dynamic systems has its roots in applied mathematics. Dynamic systems are time-evolving systems; hence, their usefulness to the study of motor development becomes obvious. Body systems evolve, or grow and mature and age, over time. The characteristics of dynamic systems have much to offer when addressing a number of fundamental issues in motor development today. Consider that new movement patterns are not “more” of a previously executed pattern but rather different patterns. There are qualitative changes. The study of dynamic systems has demonstrated that elements of a system can self-organize, to place themselves in new relationships with each other. This could explain how new movement patterns appear: the body limbs and joints that are elements of a movement pattern could self-organize into a different movement pattern. Dynamic systems are nonlinear, and their development is nonlinear. Hence, dynamic systems offer another advantage for modeling skill performance. Dynamic systems alternate between periods of stability and instability, and what prompts the change from one state to another might suggest how new behaviors emerge in development. Dynamic systems are pushed out of a stable state by a change in one or more components of a subsystem. Likely the change must reach a critical value to push the overall system into a period of instability from which a new stable state eventually emerges. In motor development, changes such as an increase in bone length, an increase in muscle strength, or formation of neural connections might be the types of changes that, once reaching a critical value, stimulate appearance of a new movement behavior. Dynamic systems theory predicts that a performer would enter a period of variability in a movement pattern before a new pattern eventually emerges and becomes stable. Whether this actually occurs is a question for future research. One of the multiple systems involved in a movement might develop more slowly than the other systems. Hence, that system discourages the appearance of a new skill until a critical value is reached, changing the relationship among systems and facilitating appearance of a new pattern. For example, the leg strength and body weight ratio might have to reach a critical level before an infant can stand. In such a case, the slowly developing system is described as the rate limiting system for a particular movement skill. Motor developmentalists are interested in identifying rate limiting systems for various movements. Another issue in the movement sciences in general concerns the mechanism for controlling so many body parts into a coordinated and smoothly controlled movement, and obviously, this too is an issue in the development of motor control. Since body parts have a number of ways of moving— that is, multiple degrees of freedom (df)—a challenge for movement scientists is to explain how those df are harnessed to execute goal-directed movements, especially when the starting position of limbs and joints can vary from time to time the movement is executed. For motor developmentalists, the challenge is extended to explain how control is initially achieved. Dynamic systems can be constrained into functional units, and this suggests that a human body comprised of dynamic systems can spontaneously organize into functional units, thus minimizing the number of individual elements that must be controlled by the developing nervous system. These functional units have been called muscle linkages or coordinative structures. An example would be how the muscles of the ankle, knee, and hip act as a unit in swinging the leg forward in walking. Motor developmentalists are interested in exploring how these coordinative structures develop, how they might reorganize into new movement patterns, and whether they change over time or come to be incorporated into new movement patterns. As mentioned earlier, a particular challenge for modeling the control of movement, especially in developing individuals, is the probability that the initial conditions for beginning a movement are almost always different, yet movement patterns are successfully completed. Sensitive dependence on initial conditions has become widely known as the butterfly effect, so named for the notion that a butterfly stirring the air might influence storm systems halfway around the world a month later. The challenge specifically for motor developmentalists is explaining how movement patterns are acquired, including how they sometimes can be executed correctly on the first attempt, despite this context-conditioned variability. As a simple example, developmentalists must account for how even infants can reach to an object despite an almost infinite number of starting positions of the arm. Dynamic nonlinear systems also are modeled as oscillators, including pendula. This has permitted an interesting analogy for walking, since we might think of each arm, swinging back and forth with each walking stride, as a pendulum. The arms maintain a relationship, systematically staying in opposition, and they maintain a relationship with the legs, moving forward and backward, opposite in direction to the same-side leg. This synchronization is called entrainment, and oscillators have been shown to entrain. Entrainment might be a means for the nervous system to more easily control what would otherwise be a set of complicated movements. If each limb, with its joints and muscle units, moved as an independent pendulum, control of walking would be a daunting task. Entrainment might be an example of how dynamic systems constrain or harness df to simplify control of some movements. Very early walkers tend to hold their arms up and not swing them but with walking experience begin to swing the arms at their sides like pendula, moving with the opposite leg. This suggests that early walkers might begin to use entrainment as a means of more efficiently controlling the movement of multiple limbs. Motor developmentalists, then, have used the features of dynamic systems to address some of the fundamental issues surrounding the emergence and control of movement patterns in developing movers. Current research into the development of control and coordination in movement is examining many of these features as contributions to our understanding of the underlying processes driving developmental change. As mentioned earlier, motor development is considered to be sequential. Longitudinal study of the development of basic skills typically reveals a series of qualitative and quantitative changes that eventually result in the execution of a skill at an advanced level. For example, very young children are typically observed throwing without taking a step and therefore with little weight shift. The distance the thrown ball travels is consequently short. At a higher level, children might be observed stepping with a throw but with the foot on the same side of the body as the throwing arm, hence limiting the contribution of trunk rotation to the throw. Then at even more advanced levels throwers can be seen stepping with the foot opposite the throwing arm. The length of the step might also increase with development so that a throw for distance can be maximized. Hence, development of leg action in overarm throwing is a series of qualitative changes and occurs by progressing from level to level. Motor developmentalists seek to identify those processes that drive change to the next level. The goal of assisting performers to progress from level to level (with developmentally appropriate tasks) is a key feature of a developmental perspective. Rather than seeing each early level as an error because it is not the most advanced level, developmentalists give credit for advancement to the next qualitative level, or for a quantitative increase within a level, all as progress toward the goal, the most advanced level. Consider that performers move through developmental levels in different ways. Take the development of the leg action in throwing described previously. There also are developmental levels for the action of the trunk and of the arm. One performer might advance a level of leg action before a level of arm action but another vice versa. Even as researchers explore what underlying processes are involved in these variations, performers advance sequentially. Perhaps this is related to sequential change in the component body systems (serving as constraints for a task). Practitioners who present developmentally appropriate tasks take developing movers from level to level over time. This too characterizes a developmental perspective on complex skill acquisition. As motor development concerns age-related, sequential change, the ideal research design for those studying motor development is a longitudinal design. The same individuals are observed over time. This design permits researchers to actually observe the phenomenon of interest as it changes in individuals. An obvious challenge for researchers is the length of time individuals must be observed to see the change in some phenomenon, as well as repeated measurement. Considering this, other designs are often used in motor development research. Cross-sectional designs allow researchers to observe a phenomenon in those of different ages to imply developmental change. So too are designs that combine longitudinal and cross-sectional designs. These allow developmental research to be conducted in a shorter time period and with fewer repetitions of a measurement. Nevertheless, the longitudinal design remains the preferred method for confirming true developmental change. Many motor development researchers are concerned with the sequential changes in movement patterns, the development of postural control, and the development of coordination and control of movements. Yet others study simultaneous change in other constraining, interacting factors that can influence movement patterns. The study of growth and maturation and also aging is important to an understanding of motor development. Physiologically, children are not miniature adults, and there are a number of unique aspects in how children respond to exercise loads. Some researchers, then, have specialized in age-related changes to exercise or in the interaction of exercise with the structural constraints, especially body composition to address aspects of general health and wellness in young and old populations. Motor developmentalists are also interested in the functional constraints and their age-related change. Changes in self-efficacy regarding skill performance are studied, as are motivational factors in participation in physical activities. Mastery learning climates have been studied as a means to provide developmentally appropriate tasks. Societal expectations, culture, and values also have been examined, particularly as they might influence gender differences in performance or selection of particular physical activities. Motor development as a field of study has become an important component of the movement sciences, both for practitioners and for researchers. Practitioners deal with movers who change over time and attempt to facilitate that change by assisting movers to attain complex advanced movement patterns. Researchers have found that models of the control and coordination of movement are only robust if they account for developmental change. Hence, the motor development field is integral to the important issues taken up by movement scientists. The fundamental questions taken up by motor developmentalists remain on the forefront of efforts to achieve a better understanding of the movement sciences. Clark, J. E., & Whitall, J. (1989). What is motor development? The lessons of history. Quest, 41, 183–202. Gabbard, C. (2012). Lifelong motor development (6th ed.). San Francisco: Pearson Benjamin Cummings. Gallahue, D. L., Ozmun, J., & Goodway, J. (2012). Understanding motor development: Infants, children, adolescents, adults (7th ed.). New York: McGraw-Hill. Haywood, K. M., & Getchell, N. (2009). Life span motor development (5th ed.). Champaign, IL: Human Kinetics. Haywood, K. M., Roberton, M. A., & Getchell, N. (2012). Advanced analysis of motor development. Champaign, IL: Human Kinetics. Payne, V. G., & Isaacs, L. (2012). Human motor development: A lifespan approach (8th ed.). New York: McGraw-Hill. Roberton, M. A. (1988). The weaver’s loom: A developmental metaphor. In J. E. Clark & J. H.
Humphrey (Eds. ), Advances in motor development research (Vol. 2, pp. 129–141). New York: AMS Press. Thelen, E., & Ulrich, B. D. (1991). Hidden skills: A dynamic systems analysis of treadmill stepping during the first year. Monographs of the Society for Research in Child Development, 56 (1, Serial No. 233).